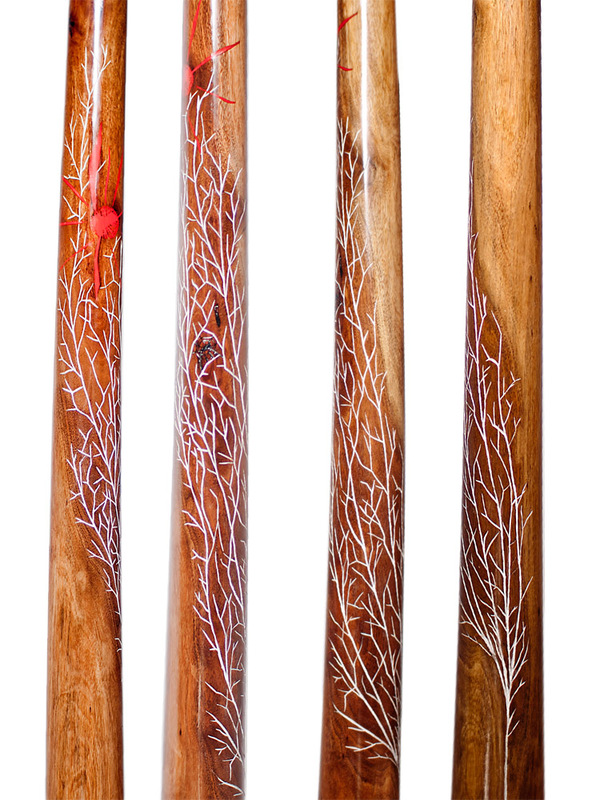 Different makers start different didgeridoos with different vision. The end result is always a wooden tube! Amazing! But the differences between them are immense. The full range of differences only understood by experienced didgeridoo players, I guess. 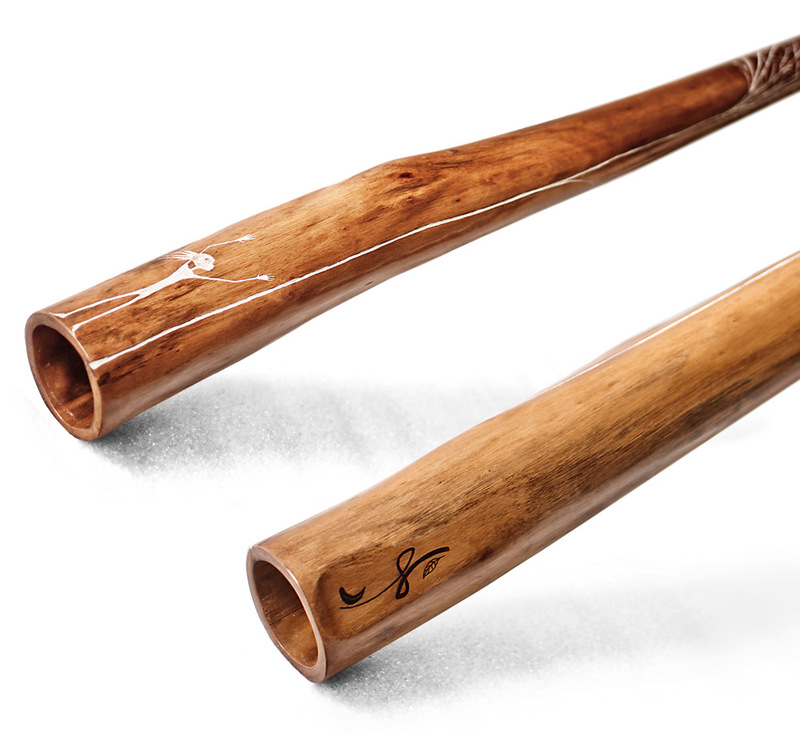 The experience is also what gives purpose to the didgeridoo, to know how to use it. This experience is also what guides us throughout the process. So what did guide me in making of “ČČČ” aka “Little Weird Prince” and what is its intended purpose? Well, I wanted to combine almost uncombineable. I wanted a didgeridoo that can play Stinkyroom as good as it gets. In the time of making this didgeridoo I was a lot under influence of small volumes (of didgeridoo bore). Meaning that our body can move with maximum efficiency only a certain volume of air. I was inspired to go this way after several years of recording same sound sample and going the way of maximum articulation, maximum expression, maximum presence. So I wanted to combine the Stinkirum kind of kick with this speed of articulations. You see this two aspects are already getting one against the other. As it is difficult to achieve the fullness of the “kick” with very small volume. Next, to make things even more interesting I wanted to make a deep didgeridoo that could read very well the articulations of traditional way of playing. In my terms, combined with avant-garde playing – the AvanTraD playing. I encourage you to read more about it on my webpage. This condition puts even higher demands on the balance of the instrument as it is even more against the “kick” – to make space for the voice for trad-like playing you need to have a dip in the low mid frequencies. And this dip is almost always against the kick. Real trad instruments go even much further with freq restriction to have maximum efficiency for the way they are used. So my way to deal with this problem is to invest with a really good piece of wood. 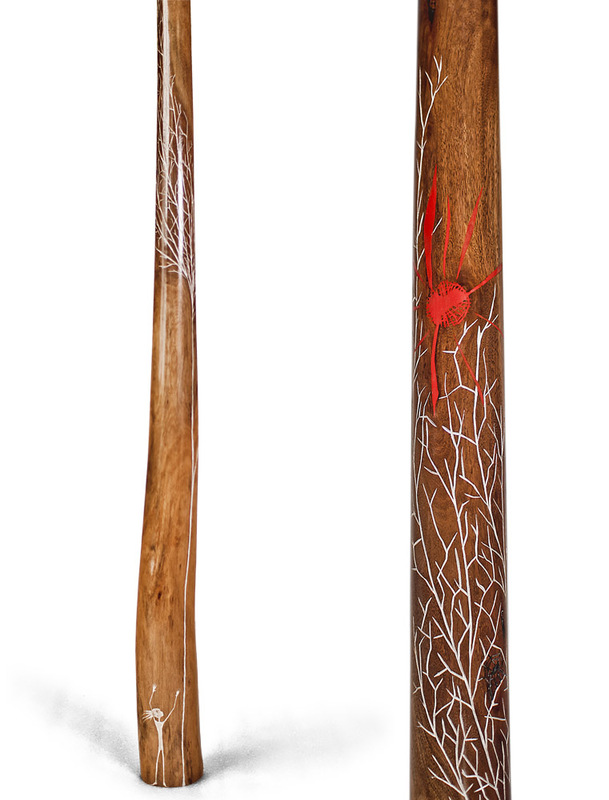 The dry long ironbark stick. You can usually notice ironbark didgeridoos people are playing by a thick ring of bark at the bell end. These instruments are 99% (or more) quite cylindrical and have very clear drone. You can practice your hearing and recognizing the sound of ironbark eucalyptus without seeing the instrument. It is very good practice! Anyway! 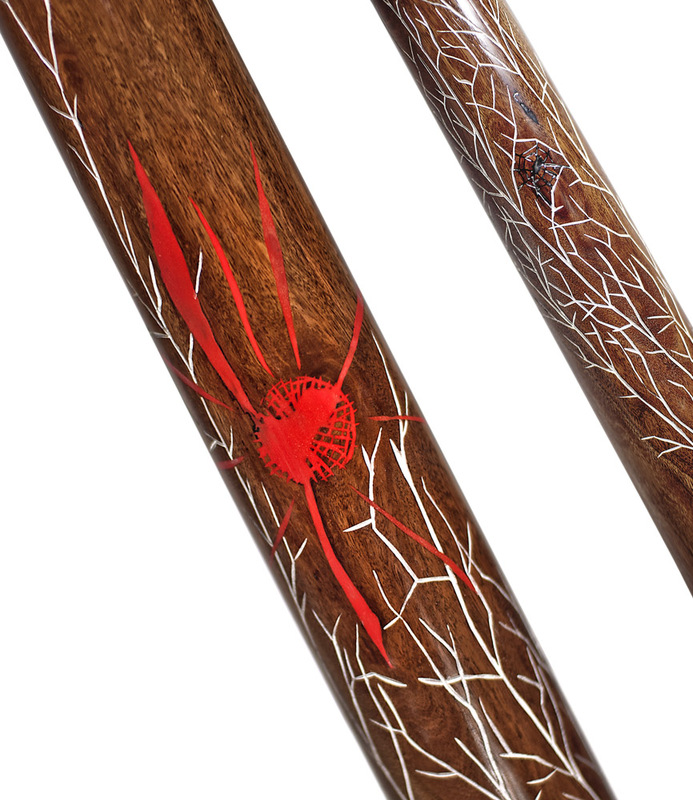 The ironbark we chose was drilled very narrowly and very slowly I was expanding it to the proportions of my original Stinkirum didgeridoo. In the process I realized we needed to re-drill it. And once again. But in between we made another ironbark didgeridoo so that with a similar but somewhat different (in a controlled way) instrument I could have two slightly different points of view of the same phenomenon. So this was one meticulous process and it took me a long time until I was satisfied. Of course, this didgeridoo doesn’t have as good a kick as the best “kicking didgeridoo” and it doesn’t have the articulations (ability to pronounce what the player has said) as the best articulation didgeridoo, nor it has the best textures for traditional playing (“dark side” of overtones, reading retroflexed tongue etc, but as a combination of all mentioned above it is quite unique and very much on top of what I have heard in my life. Take into account the key of the instrument which is quite deep for strong tongue textures. But still it is possible. 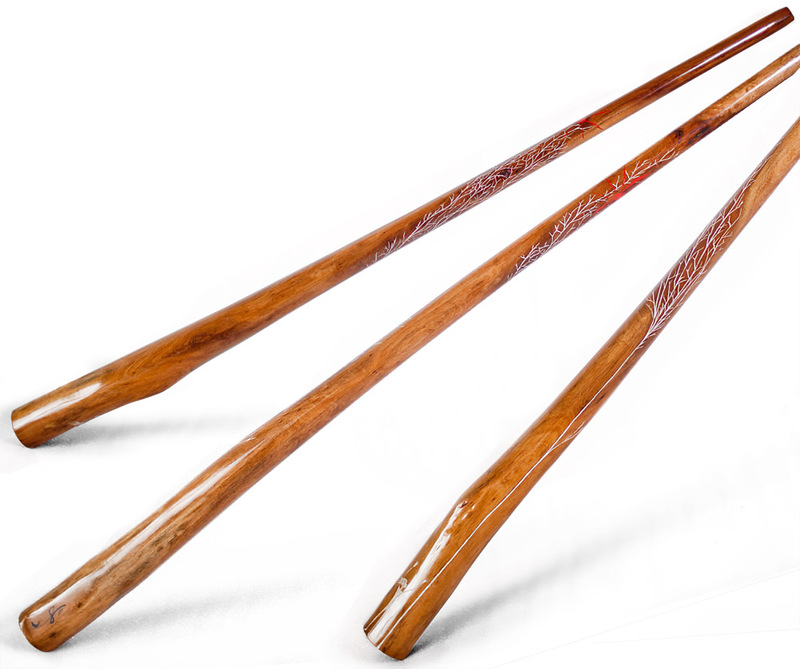 Much of the value to the instrument was given by the good choice of wood, it was a good investment to go chasing this very hard to find trio of capabilities! 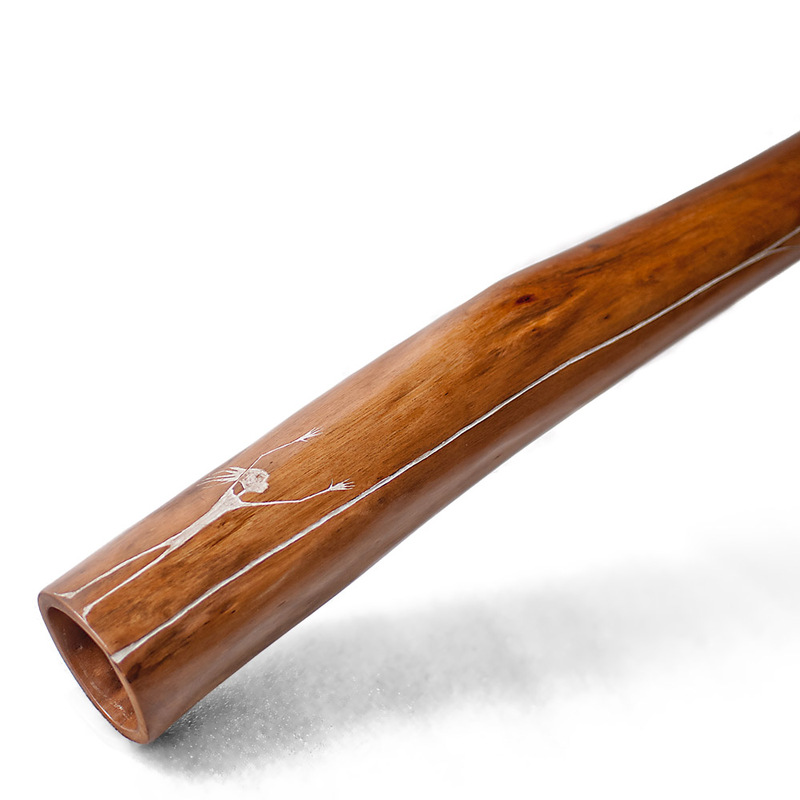 On the basic level this didgeridoo is very easy to play. It has quite high back pressure for the key and the hard wood helps getting clear sound even for beginner. But to be able to play it with hard textures and fast, one needs to devote itself to it. The drone has a slight dip in the low mids (as mentioned before) so it always benefits from adding some voice into it to make it thicker. For its key and length it is super responsive to tongue attacks. Aircode is so-so. Existing, but nothing flashy. Toots are great. I measured highest toot ever on this one. C#6 at 1.2kHz. I don’t know to which toot it corresponds, I stopped counting after tenth. But such high toots are not usable to (almost) any player. I would say you get 5 really easy ones. 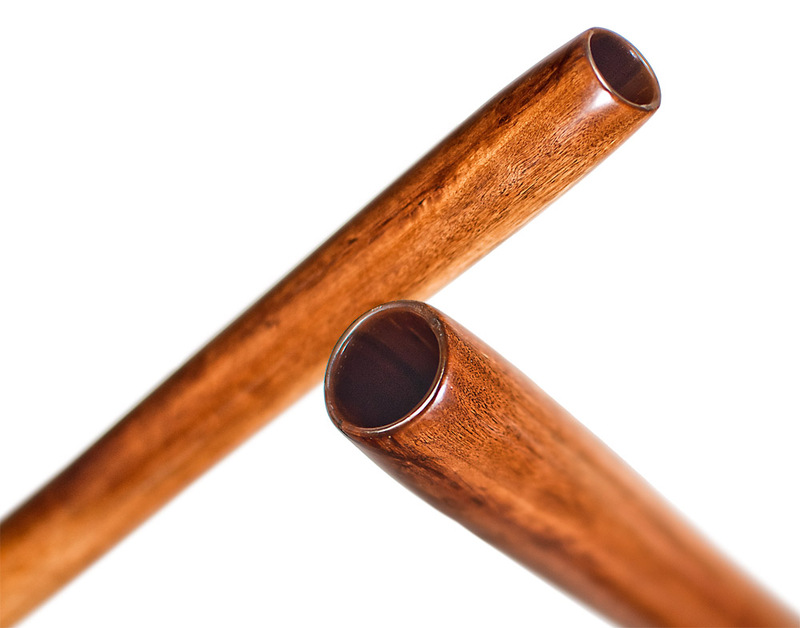 The biggest assets of this didgeridoo are that it is very clear, precise, direct, dense and strong in sound. It combines the three mentioned ways of playing which is very unique. It is very easy to play and goes very well in mix due to the high presence (ca. 3,5kHz) content ;-) The drawbacks would be that it has the dip in the low mids if you can hear it and that it is not the greatest in either of the mentioned categories, but a one that combines them all. It is not super loud and therefore would not be my first choice for acoustic playing. But I am used to VERY loud didgeridoos. Basically what you hear is what you get. And then, as a second step – what you see is what you get! 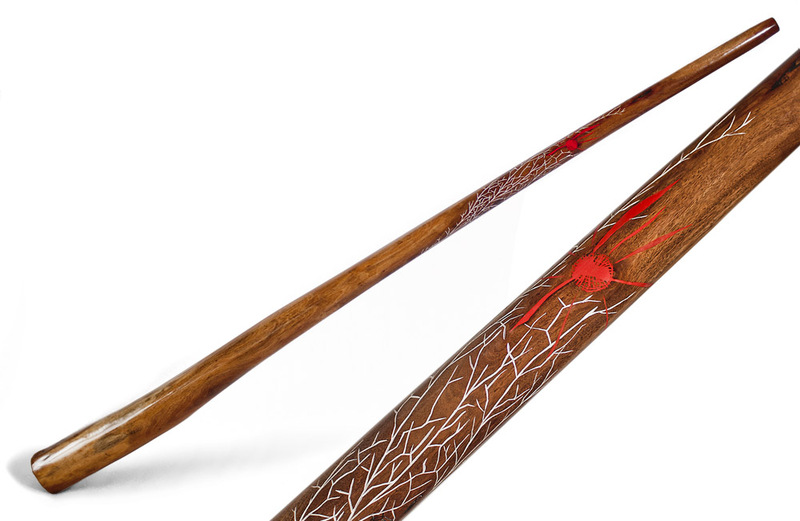 Meet the new ancient ways of didgeridoo, meet the Little Weird Prince! !